Your financial health is much like your physical health. Getting your finances into shape takes perseverance, sacrifice, and small, achievable goals. One paycheck won’t get your finances in shape, just like one healthy meal won’t get rid of that stubborn belly fat. It is about building long-lasting, healthy habits. The first step to getting your finances back on track is knowing you’re not alone. 40% of Americans are struggling to keep on top of their monthly expenses. 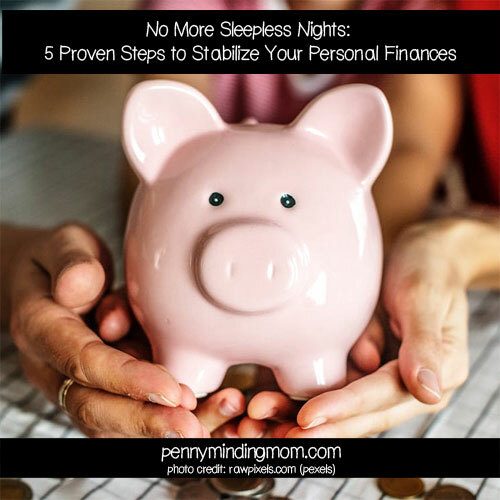 But you, just like them, can get a handle on your outgoings by taking a series of effective money-saving steps to stabilize your personal finances. Automating the savings process is one way of building a small financial safety net. Setting up a direct debit to a savings account means your money put aside for savings leaves your account as soon as payday rolls around. It’s like it was never there. While you are at it, set up a direct debit to pay utility bills. This means you’ll never be penalized again for missing payments, avoiding unnecessary costs and giving you better control over your personal finances. Most car insurance, internet, and electricity providers have far more wiggle room over their price than they want their customers to believe. The average person does not have the time to shop around for the best deals, utilities and insurance companies know this, and the price they first offer is usually not the cheapest or the best. Phone up your providers and tell them you are thinking of switching. You will likely find they have far more negotiation room than you though. Aim to reduce each one by between 5-10%. This is not only very easily done, it is also a great way to give your savings a boost. Whatever you end up saving each month, you can have transferred directly to your savings account. You hear it in the media and lifestyle magazines all the time. A family is earning several hundred thousand dollars each year, but then, without warning, it’s gone. These families increase their lifestyle with each raise, buying flashier properties, cars, and vacations, then, when the main income provider’s salary drops, their money can no longer afford their lifestyle. When you get a raise at work, it can be tempting to see this financial windfall as a brand new car, a more spacious home, or a shiny new boat. Instead, keep the same lifestyle, but use the raise as an opportunity to stabilize your personal finances instead. Recurring expenses are like parasites to your bank account. Every month, they chip away at your wealth, and in many cases offer very little in return. Go through your last few bank statements with a fine-tooth comb and write down every recurring expense you have. Start by culling three of them. It could be an online video streaming service, a magazine subscription, or a premium app service. If you miss the service, restart it the following month. If you don’t, it stays culled. Dealing with recurring expenses in this way will let you see what you really need and what you just think you need. If you need to take out a loan, make sure you read reviews. A bad loan can cripple your finances, tying you into unrealistic loan repayments and dragging you towards financial instability. Before you sign on any dotted line, read plenty of online reviews. Reviewing loan details should mean you make better financial decisions and take out loans with more favorable repayment terms. Make these steps a part of your core financial habits. It may not happen overnight, but over time, you will notice a gradual improvement in your personal finances. Your savings account will begin to grow, and before long the financial seas will calm and you will find yourself sailing peacefully in an ocean of financial stability and security.